our Pride line of fine jewellery. middle tag plated in black titanium. Comes complete with it's own black cord. 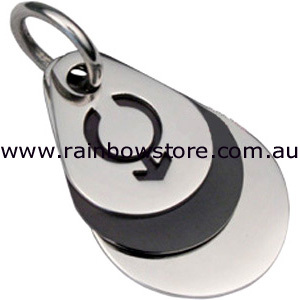 Click the button below to add the Teardrop Male Symbol Pendant Necklace Gay Lesbian Pride to your wish list.